Elijah feat. Terry Lynn – »Gun Cry«. I have been anxious for new music from Terry Lynn and was surprised when I heard her voice on an acoustic guitar tune called »Gun Cry«. Very pleasantly surprised though. »Gun Cry« is a song written by Swiss artist Elijah who had originally met Terry living in Waterhouse, Kingston, Jamaica. The two reconnected for a unplugged show for the opening of Hotel Rivington & Sons in fall 2011 in Zurich and came up with »Gun Cry« late one evening on the rooftop of our friend Russell Hergert’s flat. bakka bang bang bakka bakka bang bang. It’s a gun cry another youth a die. Elijah is the latest addition to Russ Hergert’s PHREE roster. He joins Wildlife!, Terry Lynn, and other iconic Jamaican artists such as Toots & The Maytals, who received a 2013 Grammy nomination for his acoustic album co-produced by Russ. Federation Sound on RBMA Radio: Murder Dubs. 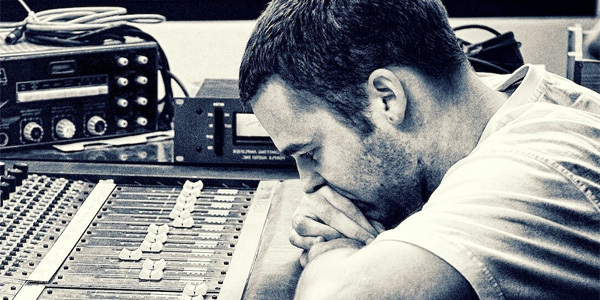 Max Glazer of Federation Sound breaks down his bashment essentials and clash-winning dubplates for Red Bull Music Academy Radio. Universal reissues fine reggae albums on vinyl. On upcoming Monday, June 22, Universal will release a pile of fine reggae vinyl reissues. 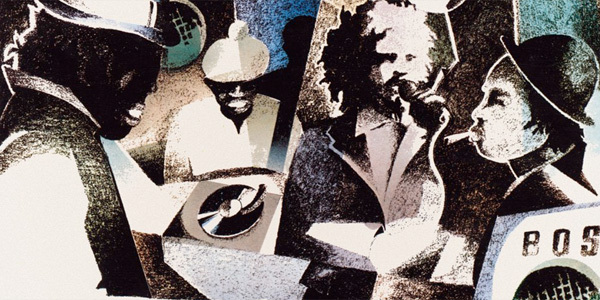 Amongst others, Junior Murvin’s »Police and Thieves«, The Heptones’ »Party Time«, Max Romeo’s »War Inna Bablyon« and The Upsetters’ »Super Ape« albums will be made available to record lovers again. Find the full list and place your orders on Amazon. Ward 21 X Pionear: Setting up a partnership. On July 1, Ward 21 Music and Germaica Digital announced that Leander “Pionear” Topp will from now on serve as the world wide manager for Jamaican Dancehall group Ward 21. Please tell me a little bit about what happened at King Jammy’s 15 years ago, when you first met Ward 21 and started working together. When I was living in Kingston between 1998 – 2000 I was introduced to the Kingston studio scene by my mentor the great Dean Fraser. The first “big man” Dean introduced me to was King Jammys. Back then I was producing a Riddim called “Final Judgement” and made Jammys listening it. He liked it and said that it needs some re-work and went with me from the office to the studio where this crew of krazy people was listening to some music that really hit me hard not only because it was played at an unbelieveable volume but also because it sounded different from what I ever heard coming out of Kingston before. 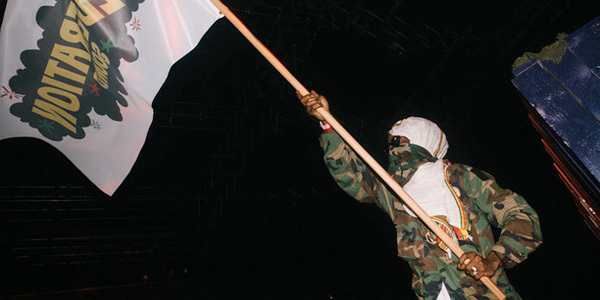 It was this minimalistic Hip Hop flavoured feel and this “in your face” mix of the drums and the bass which immediately hammered the word “Future” into my brain. Since it was also always my personal goal as a producer to do things that were never done before and to explore new grounds – and so this first meeting was one of my most important experiences during my Kingston time. Later all of us worked out the mentioned Riddim and it became the first Riddim ever produced by a German to be released on a major Jamaican label. What have been your all-time favourite three Ward 21 tunes since then and why? 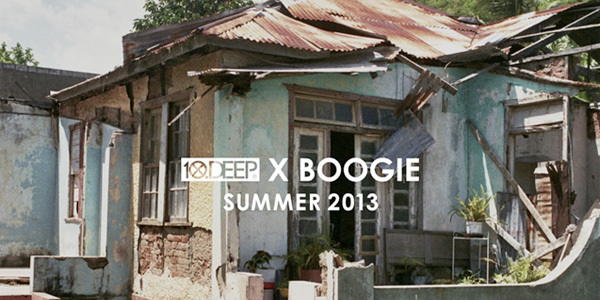 10 Deep X Boogie: Kingston Capsule Collection. I generally respect Boogie’s work a lot but I have to admit that I am neither a fan of what he did in Jamaica nor of the tie-dyed shirts 10 Deep put the stuff on. Make up your minds yourselves.